"Just What You Been Waiting For, The Perfect Home~.With everything already done, all you need to do is move right in and enjoy. You will notice the moment you drive up the large driveway with plenty of parking, the attached 2 car garage makes this home even more attractive. Entering into this home you will notice the wonderful stain glass front door. Inside offers all hardwood flooring throughout, with each room magnificent in size. The formal dining room offers shadowboxing and crown molding, the formal living room has wonderful natural lighting as well as crown molding. Wait until you see the costom kitchen with granite counters, pantry, stainless steel appliance package and tile backsplash. Both baths have been totally updated, wait until you see title floors as well as title tub surround. The great room is nicely located near the 4th bedroom and 2nd full bath so it has many possibilities, one of them is to make an in-law suite if the need ever arose, and it would also offer its own private entrance. There is also a finished lower level witch could be used as a professional office, play room, or 5th bedroom. There is also an unfinished area as well for all your storage needs. This home offers a new heater and hot water heater. The fenced in back yard offer a wonderful patio and shed. This home has it all and is conveniently located near all major bridges, roadways and shopping, so what are you waiting for make your appointment today"
"Inventory shortage got you down...Things are looking up!Here's the one you've been waiting for, right here in Gloucester Township (just minutes to numerous travel access points, shopping, dining & the Gloucester Premium Outlets)Spacious 4 bd 2.5 bath 2 story with a large finished basement, it's only 14 years old & full of updates & upgrades! Well cared for & immaculate! liv rm, din rm, laundry/mud rm, 2 family rm's plus a game/bonus rm, tons of storage space! 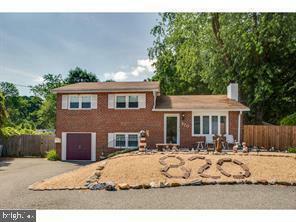 Hey lets talk about the yard... fully fenced & a great place to entertain! Awesome above ground pool, patio & lots of room to fit your specific needs, out front you can relax on the front porch!!! This one has it all, don't wait..."
"Full Remodel....Coveted area in Glendora and quiet Cul-De-Sac street. This home offers so much more than your average flip. The high square footage is coupled with an enormous sun room (with a wet bar and gas heater) and a fully finished basement. The two living spaces make this home desirable for a growing household that is tired of living on top of each other. Schedule your property tour today and come see the amazing finishes before it is gone. This gem will not last long in today's market.~ 3-D Virtual tour available upon request." 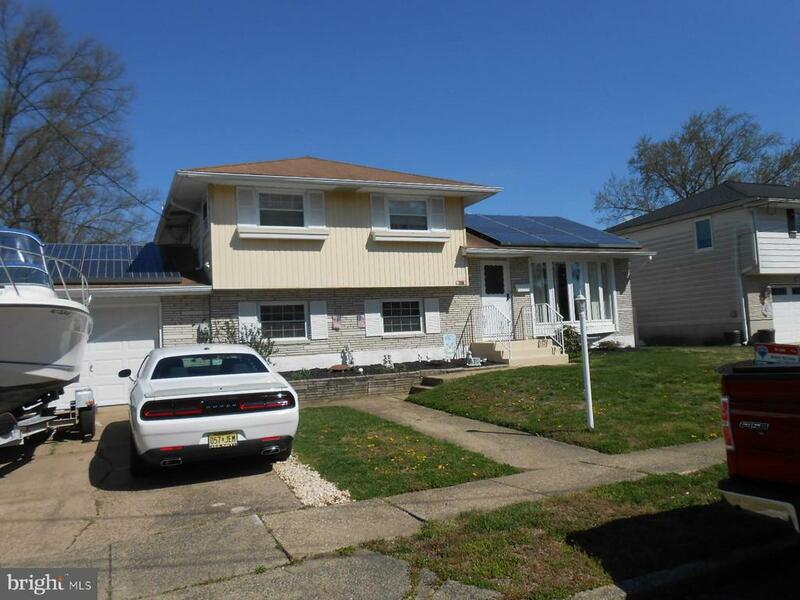 "Great house only 11 years young on a quiet dead end location. 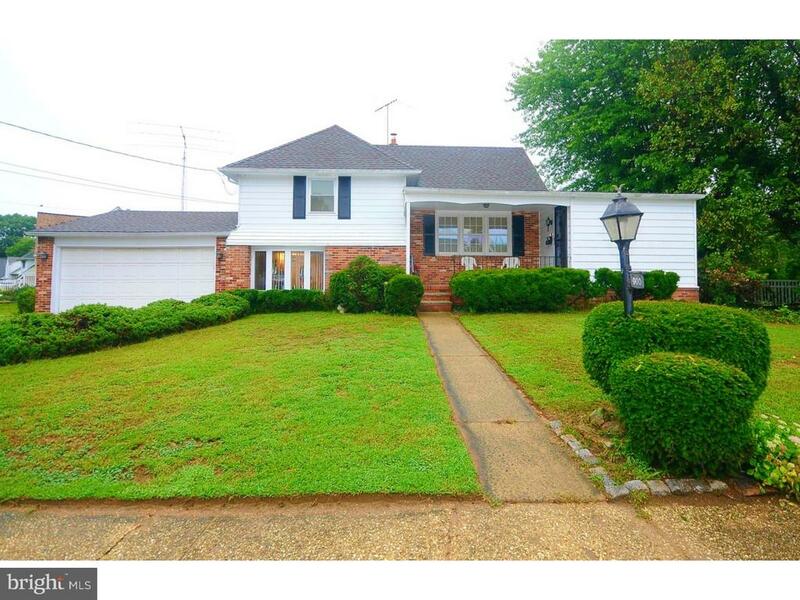 Beautiful curb appeal and an open front porch welcome you into this lovely home. This custom built home features formal living & dining rooms with laminate wood flooring and lots of windows for natural light. A good sized eat-in kitchen with island breakfast bar, ceramic tiled flooring, lots of 42 oak cabinetry and all stainless steel appliances. A nice powder room, good sized laundry room and a 1 car oversized garage complete the first floor. Upstairs amenities include- 3 nice size neutral bedrooms, a large master suite with a full master bathroom, vaulted cathedral ceilings and a walk-in closet. Additional full hall bathroom in the hallway. Finished basement features large family room, game room with neutral wall to wall carpeting & walls, recessed lighting and lots of storage space. Close to shopping & transportation. A great house for the money. Show and Sell!!!" 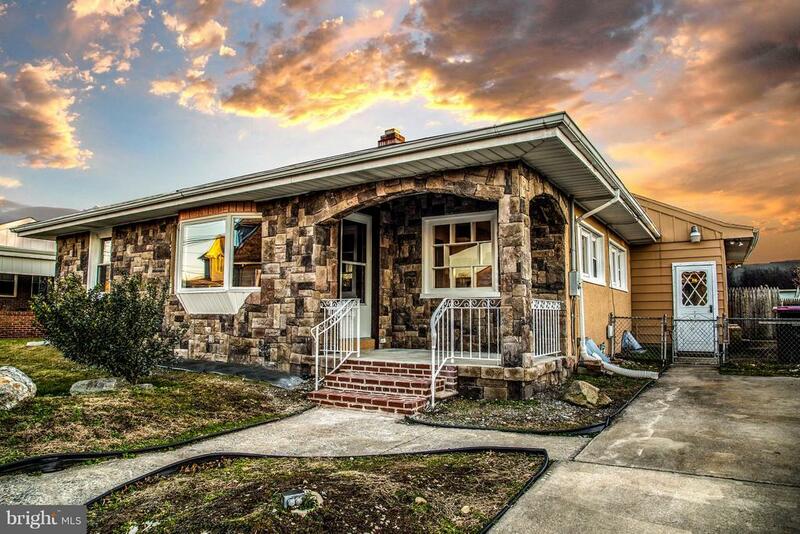 "Pack your bags and call this Move in Ready 4 Bedroom 2 bath home yours today! As you enter the home you will be greeted warmly with new hardwood floors, remodeled kitchen and bathrooms. Home features a separate area Master bedroom suite for privacy or could be used as an In Law Suite if needed. Not only is this home in a desirable location but it is perfect for entertaining with its large fully finished basement and inground pool for outside gatherings. Home has lots of storage as well. 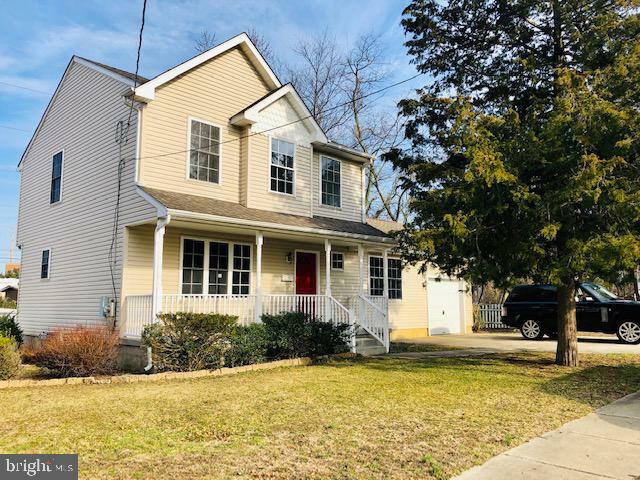 In addition this home comes with New Heating and Air conditioning, new appliances that include washer and dryer as well as new flooring throughout the home. Don't miss out on this excellent opportunity priced just right. Schedule your showing now!" "What a Value! 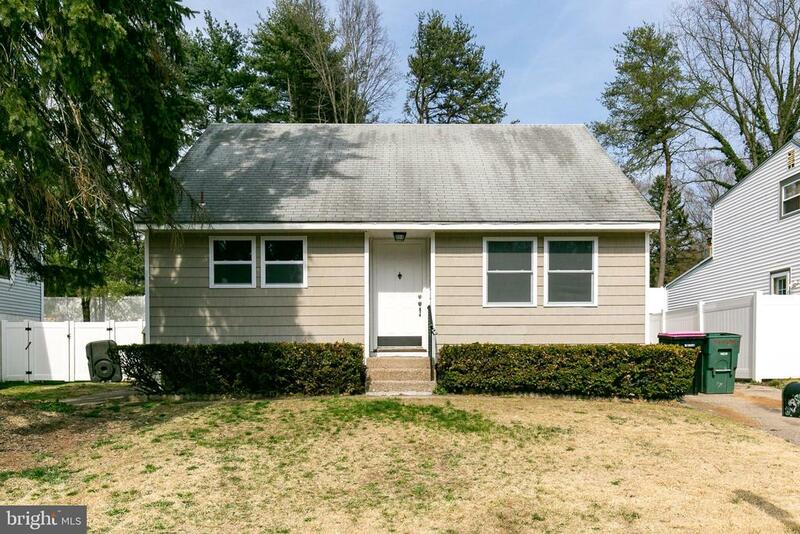 3 bedroom 1.5 bath split. 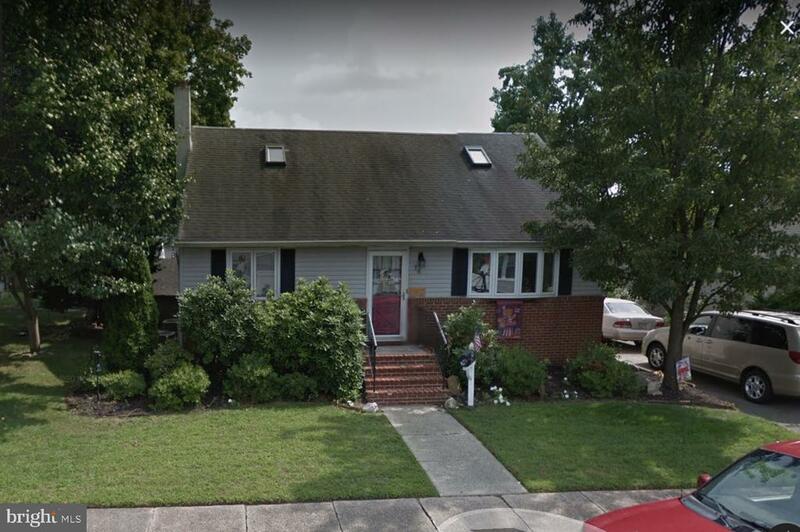 Large family room with bar, large living room, formal dining room, huge 3 season sun room, fenced in yard, over sized attached garage, solar panels must be transferred to new buyer. Low Low electric bill. Quick Close!" "This immaculate, tastefully updated colonial with front porch exudes traditional charm yet modern elegance. 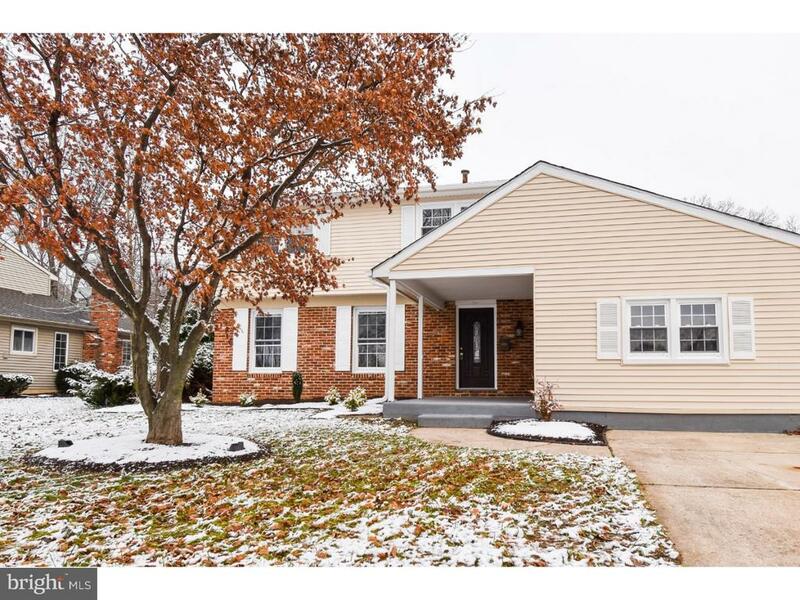 Living is easy in this bright 4-bedroom, 1.5 bathroom residence located on a quiet street in desirable Gloucester Township. Situated close enough to walk into town for lunch or go to Runnemede Lake Park, this impressive 15-year old home boasts a wonderful floor plan. The large eat-in kitchen with granite countertops and all new stainless steel gas range, refrigerator with water line, and dishwasher is perfect for entertaining! A large extra room off the kitchen on the first floor has plenty of light and can be used as a separate dining room, bedroom, den, or even study/office. Fully updated bathrooms have brand new tile flooring and vanities! Upstairs are three newly carpeted large bedrooms; all with generous closet space and new elegant lighting. This meticulous home has considerable closet space and a laundry room (washer and dryer included) with direct access to the garage and generous back yard. There is plenty of room in the deep garage to park one car and store bicycles, etc. There is also a shed in the back yard for additional storage. A concrete driveway has room for 2-3 cars. It's hard to list all of the features of this stunning residence with perfect curb appeal. Schedule a tour today before it is too late!" "Truly a vacation style home right in Glendora. Hardwood floors on the main level. Cozy living room with a room heating fireplace to warm you up on those chilly days. Enjoy the formal dining room with sliding glass doors leading to a sunroom with an inviting hot tub, including a grill with exhaust for all season cooking enjoyment. Kitchen offers solid wood cabinets and island breakfast bar with stools. The recreation room is a family delight with a pool table and built in custom bar area. Also included downstairs is a half bath and a large laundry room with an additional pantry area. There's lots of additional storage throughout this property. There are three good sized bedrooms and a full main bathroom with custom vanity. Wait till you see the amazing garage. Its loaded with extras such as a mechanics pit to work on your car and extra air compressor included in a separate room. If that excites you, there are also two nice sized sheds amd a deck that overlooks a running creek with a great view of the wooded area. There is a large horseshoe driveway with plenty of parking. Additional amenities include recessed lighting, ceiling fans, enclosed kennel, fenced in yard, an espring water filtration system for drinking water. 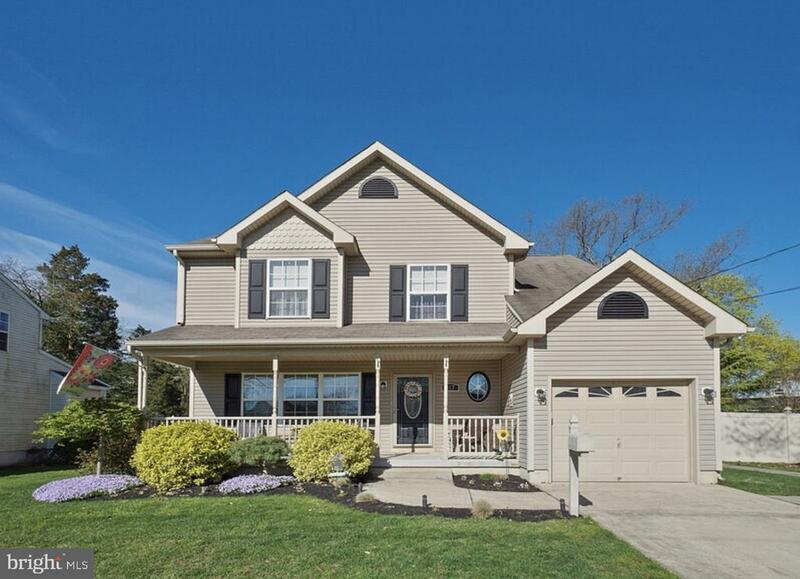 This is a home you can really enjoy and is located in a desirable school district. Showings will begin the second week in May. Seller wants to get house ready." 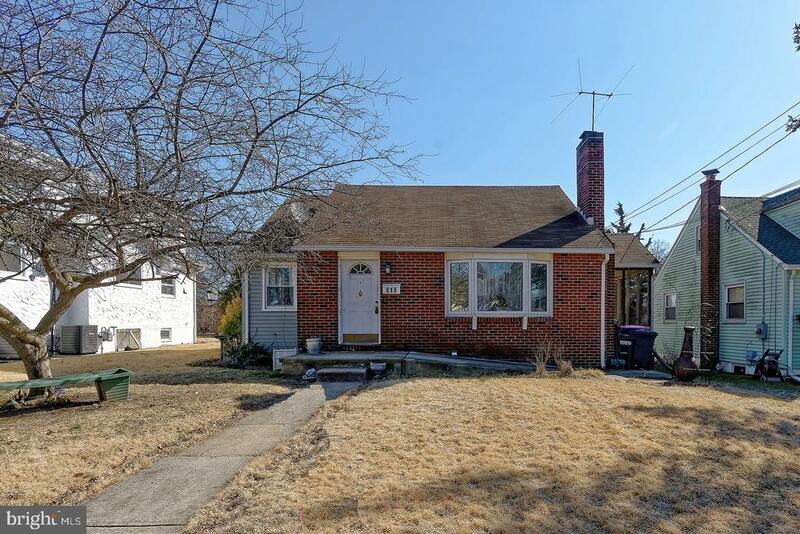 "Lovely rancher with 3 bedrooms, 2 bathrooms. The home is located close to shopping, restaurants, movie theatres and Rt. 42. Newer roof, newer siding and newer windows. The kitchen has been updated with all new stainless steel appliances. With a large backyard perfect for entertaining, playing, and gardening. The price of the home includes the lot on the left of the property. It is a combination sale of house and lot." "Home has been owned by the same family since 1957. 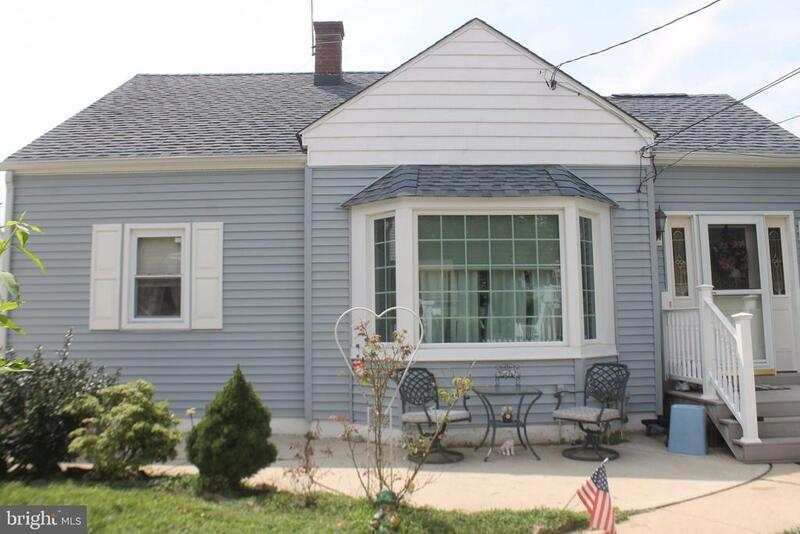 Sizeable split level home offers 1994 sq.ft. of living space- cozy covered Front Porch, large 2 car attached garage, covered rear porch, premium corner lot, aluminum siding & brick facade, Huge Living Room w/brick wood burning fireplace, family sized Dining Room, large Eat-in Kitchen, roomy Family Room w/built-in bar & 2nd Kitchen, Powder Room, Laundry /Utility Room & Den on Lower Level, 3rd Bedroom & Full Bath on 2nd & 3rd floors, roof installed in 2003, Central Air- 4 years old, Heater- 4 years old, hardwood floors under floors in Living Rm, Dining Rm, & Bedrooms. Well maintained home- Just a little dated. 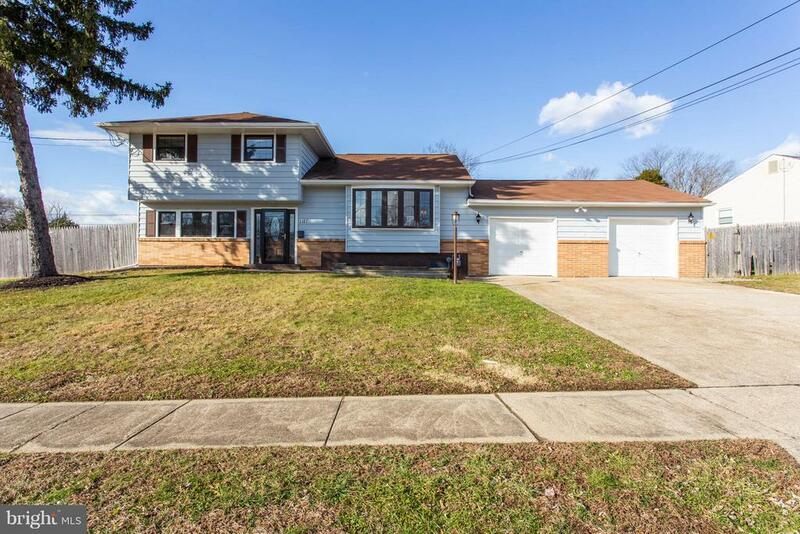 Great opportunity to live in an established neighborhood with a good school system." "Nicley Renovated Cape. 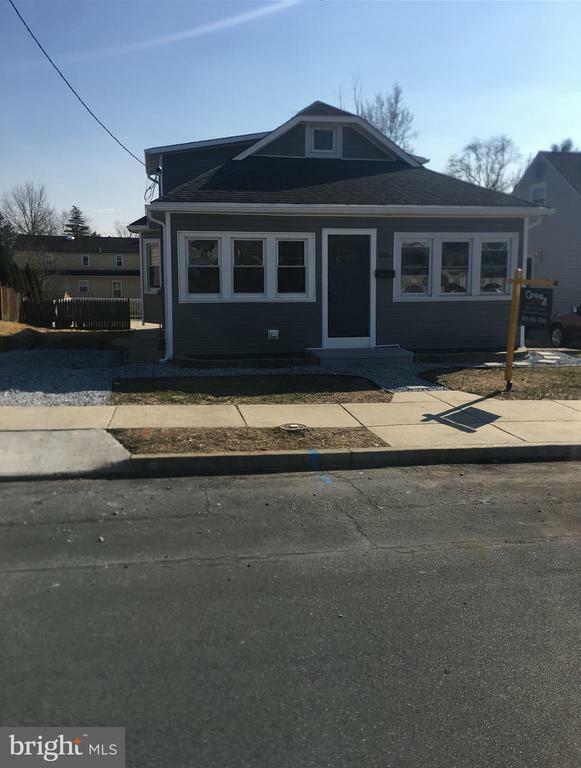 New kitchen with Granite tops and Stainless steel appliances, Bath, Windows ,newer siding, finished basment"
"This beautiful 2-story home has been recently updated and is all ready for a new owner to move right in! 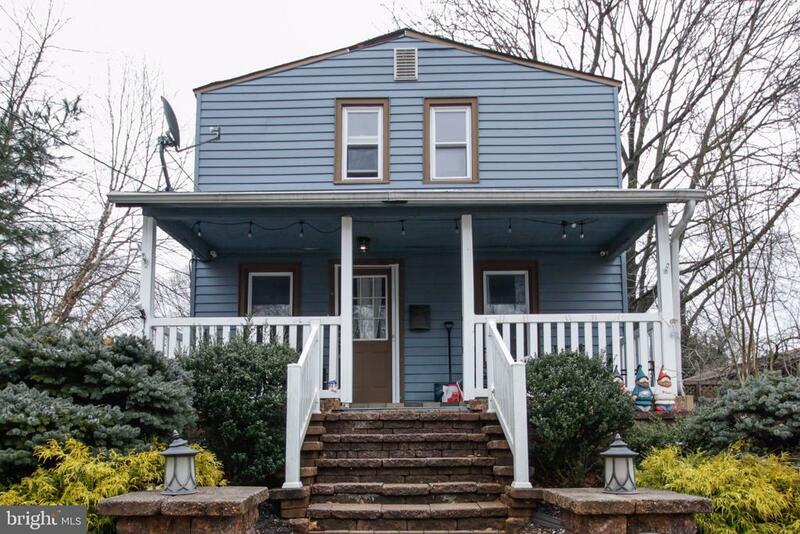 Located in the heart of Glendora, this home is conveniently located minutes from shopping, dining, and entertainment, and is also just a short commute away from Philly! 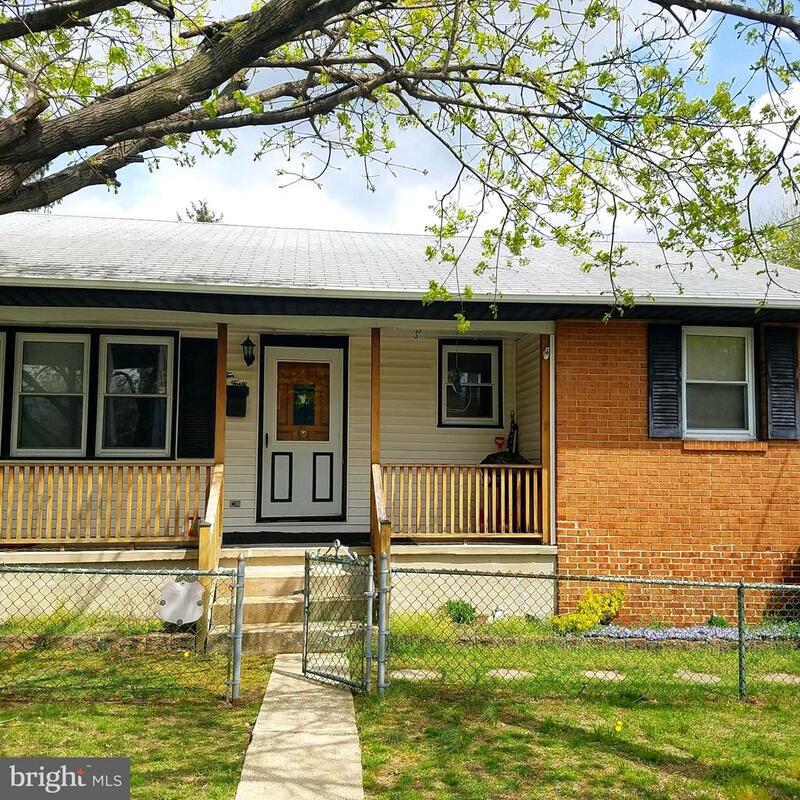 Inside the home you'll find fresh paint, new carpet, stainless steel appliances, update fixtures, three bedrooms and two full baths. The basement is partially finished with an additional half bathroom. Out back is a spacious fenced in yard along with a large deck perfect for the upcoming spring and summer weather! Schedule your showin"
"Welcome home to this 3 bedroom 1 1/2 bath property in desirable Glendora. Close to all major highways and shopping. 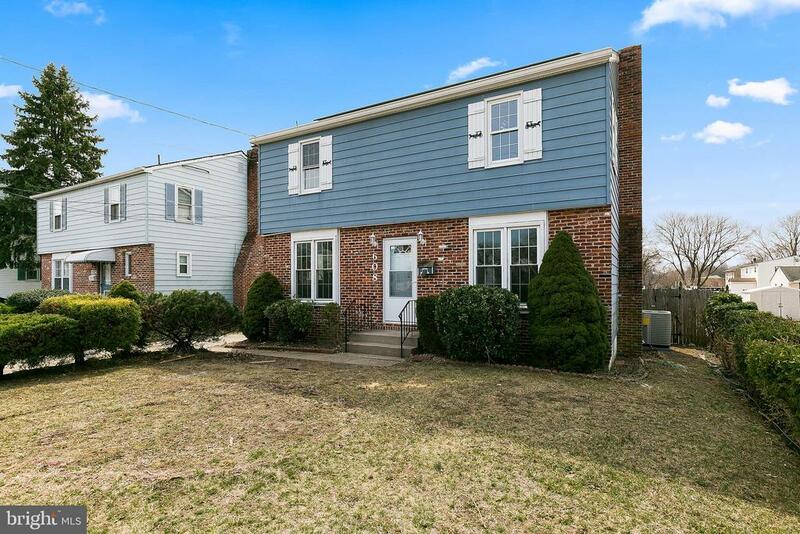 Property boasts brand new vinyl siding. Home features a brand new kitchen with granite countertops, soft-close doors/drawers, high end appliances and custom backsplash. Both bathrooms have been remodeled with new tile, new vanities, and new fixtures. 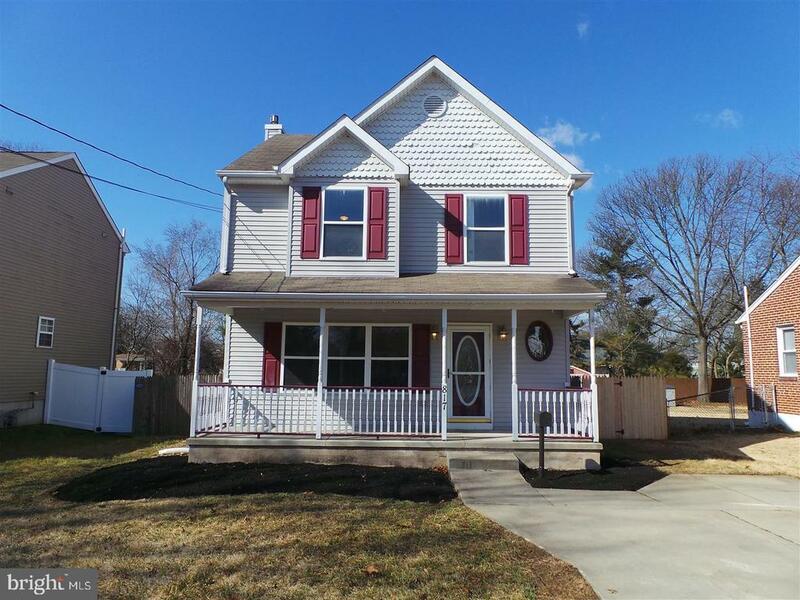 Home features a large master, new flooring throughout, new interior doors, new lighting fixtures, and fresh paint. All plumbing and electrical are new including a brand new hot water heater and AC coil. Step out of the French doors onto the huge elevated patio perfect for entertaining. Property also features a full basement and out door shed ideal for storage. Must see to appreciate. Home will not last!!" "Welcome to this fantastic home right in Glendora. 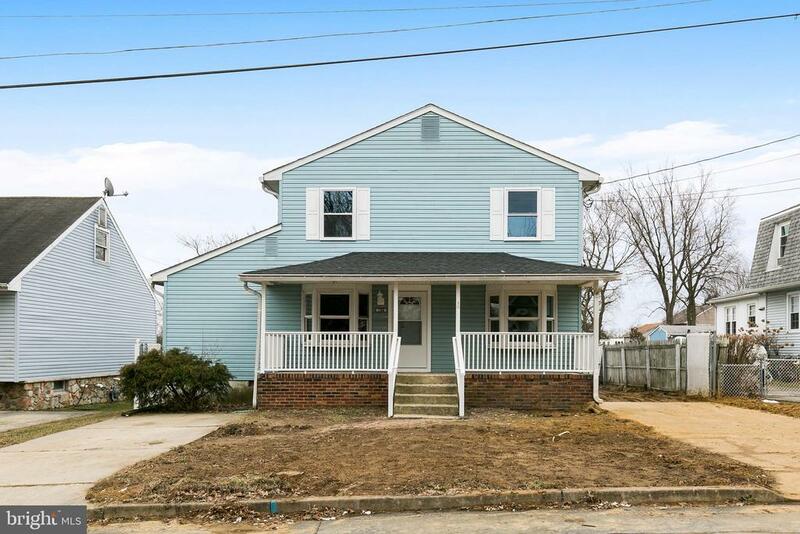 The house features a large front porch, plenty of natural light, a single car detached garage and plenty of fenced in yard space. As you enter the home the living space is well maintained and inviting. You pass through the living room into the kitchen/Dining room area and walk down the hall to the 2 additional bedrooms. The living room and bedrooms are carpeted and the dining and kitchen have laminate floors. All the bedrooms have a ceiling fan. The basement is partially finished and is plenty big enough to provide an extra bedroom for someone. The basement also hosts the laundry and all the mechanicals. A home inspection will be provided to anyone that wants one. Please hurry, this will not last long." "BACK ON THE MARKET!! IF YOU MISSED IT THE FIRST TIME, NOW IS YOUR CHANCE. Own for less than the cost of rent!! 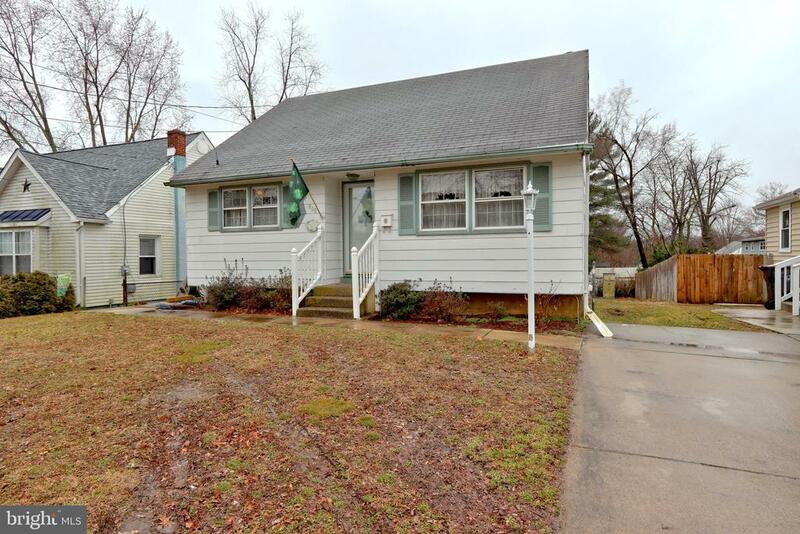 3 bedroom and 2 FULL baths in this cute cape cod will give you the space you are looking for. Bathrooms have been recently updated including tile in the master bathroom shower. Charming hardwood through the first floor where you have your family room, dining room, bedroom and full bath. Second floor has a master suite and additional bedroom- all with BRAND NEW carpet. Home has full basement with plenty of room for storage PLUS a large finished room for playing/ entertainment. Outside is a screen room, pergola and above ground pool. Call now to make your appointment." "Great price reduction!! Pack your bags! Great home- Great Layout! 4 floors of living space. Walk into the living room with beautiful hard wood flooring with an open wall into the extra large, updated kitchen! Plenty of cabinets and counter space, stainless steel appliances! Second floor has two bedrooms with a full bathroom and 3rd floor has another bedroom. Lower level has a large family room with a 1/2 bath. Extra large fenced in back yard!! Estate sale, being sold AS IS. Priced right for a quick sale!!" "Take advantage of an opportunity to own at this price. 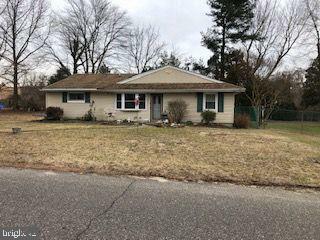 The seller is looking to downsize into one floor living and looking to sell this well maintained home to one lucky buyer. Living and dining rooms. First floor bedroom and full bath. Updated kitchen. Two bedrooms upstairs and another full bath. Basement is unfinished. Beautiful large rear fenced yard, detached garage and extra long driveway. Seller has priced the property to sell in its present (move in ready) condition. This is a wonderful opportunity for someone. Just minutes from major highways, bridges and shore points, public transportation, shopping malls, outlets, and Casino. Call to schedule your tour today!!" "Opportunity awaits. 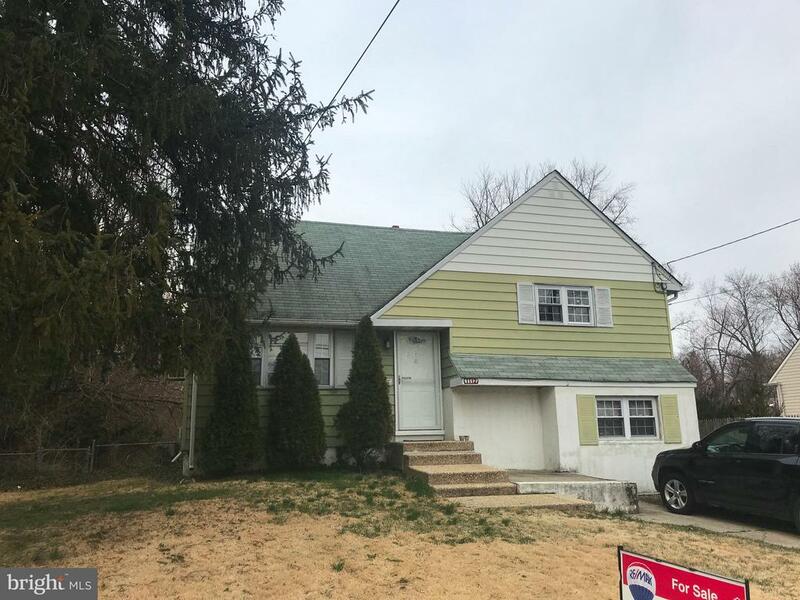 Well maintained home features 3 bedrooms, full bath with stall shower and garden tub, exceptional backyard with built in pool and out buildings that can be either your custom She Shed or Man Cave. Convenient location. Being offered in a strictly as-is condition but don't let that stop you from checking out this home." "Calling all investors, first time homeowners. Property being sold as is. Seller is a wholesaler. They have equitable ownership in the property, which is an assignable contract to purchase the home. Please have Buyer's Broker hold deposit money. Buyer responsible for any certificate of occupancy. Seller requests that Buyer use Seller's Title Company. Property has a beautifully updated kitchen, a young roof, pool and heat are in working condition. Was used as a multi family unit." "Welcome to Price Ave. This four bedroom home is ready for new owners. Upon entering your greeted with the front porch which is ideal for storage or perfect spot to unwind after a long day. Inside the living room is open and spacious. The rear of the home is the large updated kitchen. Just off the kitchen is a wood deck and large fenced in yard. Rounding out the main level are two generous sized bedrooms along with a full bathroom. Let's check out the second level. Up here you have two more large bedrooms. Adding to this great home is a full basement. Centrally located to all major roads and shopping destinations. This home is being sold in AS-IS condition with buyer being responsible for any lender or township requirements. Put this on your list today!!" "This Gem has lost it's sparkle! Bring your vision and your paintbrush and restore the luster! Motivated Seller! Private lot backs to a protected Greenbelt-- 2 story Colonial with good bones-3 Bedroom, 1.5 Baths, large Living Room & Family Room, 1st floor Laundry, Full unfinished basement- oil tank located in Basement, nice cul-de-sac lot- fenced, Front Porch, Covered rear patio- Being sold AS-IS AS-SEEN condition- lots of potential- development is tucked away from major street traffic- close to little league fields, major roadways, etc. (Seller will NOT make repairs). Buyer responsible for any and all repairs & inspections required by Buyer's Lender and/or the municipality. Easy to show.Possible short sale. Previous oil tank has been removed, but remaining soil requires remediation. Buyer responsible for remediation. Contact Listing Agent for specifics."